Nicole Wloka holds the Research Fellow position within the project „Re.Cri.Re“, an international research consortium, coordinated by the the Chair of Philosophy and Political Theory at the Ludwig-Maximilians University (LMU) in Munich. The subproject is carried out in Munich and funded by the EU Commission through Horizon 2020. Her main task within the project will be the derivation of general criteria for the construction of policies operating in post-crisis, building on the previous analysis through the filled in questionnaires. These criteria will then be contextualized and discussed with a panel of experts at European level. On this basis, precise guidelines for an appropriate policy making will be defined together with the stakeholders. In addition, the post involves tasks in the coordination and communication within the international research consortium (e.g. organization of workshops and publications, financial management through provision of financial information and report and assessing scientific progress while ensuring the project plan is aligned). 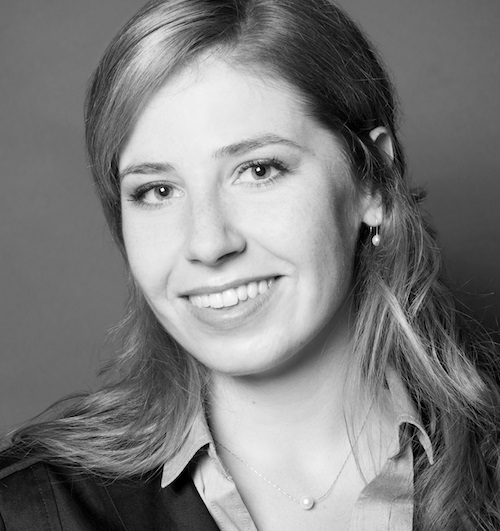 Nicole Wloka studied History (Technische Universität Berlin), Philosophy (Humboldt-Universität zu Berlin) and Public International Law (Freie Universität Berlin). She is preparing her Ph.D at the moment. Wloka, Nicole (2009): Politik und Leben. Oder: Warum das Selbstbestimmungsrecht dem Menschen für die gesamte Zeit seines Lebens zukommt. In: Simon Springmann, Simon/Trautsch, Asmus (Hrsg. ): Was ist Leben? Festgabe für Volker Gerhardt zum 65. Geburtstag. (= Erfahrung und Denken. Schriften zur Förderung der Beziehung zwischen Philosophie und Einzelwissenschaften. Band 98). Berlin: Duncker & Humblot, 213-216. Wloka, Nicole (2008): Eine diskriminierende Frage – mit der logischen Folge der Integration. In: Ganten, Detlev/Gerhardt, Volker/Heilinger, Jan-Christoph/Nida-Rümelin, Julian (Hrsg. ): Was ist der Mensch? (=Bd. 3: Humanprojekt. Interdisziplinäre Anthropologie. Berlin-Brandenburgische Akademie der Wissenschaften). Berlin/New York: Walter de Gruyter, 272-274.